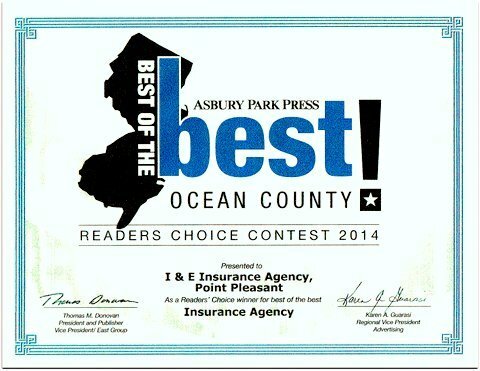 The 2014 Asbury Park Press " Best of the Best "
--- Our Agency is a Two Time winner ! featured in NJ Monthly Magazine March 2014 and 2015. And many Insurance Companies have declined covering these homes, commercial and investment properties because of possible win damage or have cut back and offer LIMITED coverage with very HIGH deductibles. uncommon for a hurricane deductible of 5% or $50,000. is paid by your insurance policy! Well it's doesn't have to be that way! Call I & E Insurance Agency 732-295-5584.
and they want your business! Additionally,through our affiliation with ANE we offer all the strength and power of a Nation-wide agency, but with the personalized service, attention and Old fashion charm of a local corner neighborhood store. You are more than a customer, you are our neighbors, friends and clients. We're here to help, when you need us most. 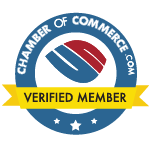 We offer securities trading through our association with Southeast Investments NC INC., member FINRA/SIPC. 401K Plans, College 529 Accounts, Mutual Funds, CDs, Tax Free Bonds, Option trading and Investment Plans for personal and Business needs. Plan Today, Smile Tomorrow-Life Happens Be Ready!